Resetting Windows Administrator Password Using Linux: In case you or a friend of yours has forgotten his/her Windows administrator password, or in rare case your password management software screws up, there’s no need to panic as you can easily reset the password provided you have the right tools. One way to do this is to use Linux as your knight in shining armor. I’m going to show you how you can smoothly reset a Windows Administrator password using Linux. You will only need a Live CD, and for this example, we will utilize Ubuntu. Also, I assume that you have the basic knowledge on using the Linux command line. After successfully installing ‘chntpw’, you have to access the Windows NTFS partition by mounting it and allowing read/write support. A good tutorial on how to do this can be found HERE. After that, use your command line skills by navigating to ‘WINDOWS/system32/config’. A long display of information will follow. Just ignore them. Once you are prompted to reset the password, it is recommended to leave the password blank with an asterisk *. Reboot, and you can now login to freakin’ Windows. Hey, this is excellent, just a question, I need to write an * or just leave a blank space? Hey, you can also use the sysrescuecd distro, It include ntpass tool that allow to reset administrator's password. SysrecueCD have a livecd version. Asterisk tells the program to blank the password, so you actually need to enter the * character. I actually have a live CD that's entire purpose is to reset Windows passwords. I can't find where to download it anymore (it was a floppy image that I converted to CD) but if you're interested I can make an ISO and upload somewhere. This is a good tip - I wondered how the Offline NT Password and Registry Editor (http://home.eunet.no/pnordahl/ntpasswd/) worked - it's essentially an automated version of what you do here! I'll still use the one I mentioned as it's quick and easy, but it's nice to know the ingredients that go into the sausage! Doesn't 'sudo apt-get' assume you have a network connection? This may make it more difficult if the computer has a wireless adapter not recognized by Ubuntu. If you are locked out of your BIOS so you cannot boot from the CD, you are still screwed. What's the point of having a password if it can be hacked so easily? This is precisely why it's important to control physical access to any box you intend to keep secure. There is an even easier solution, check out the linux LiveCD distro called OphCrack. It's an idiot-proof and fully automated solution. And you don't have to worry about the implications and ramifications of network access (to do the apt-get install). "What's the point of having a password if it can be hacked so easily?" The point is that technique described above doesn't crack, hack or anything. It just reset administrator password. Password can be resetted on every operating system. Well, maybe not on every but definitelly on every open source systems like Linux. 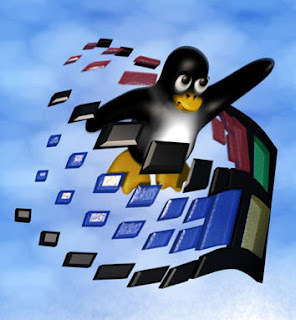 To get root access on linux (open source) machine is far more easier than on windows (closed source). However you can use just windows boot CD to reset admin password. Once again, reseting is not cracking, so all your encrypted files and informations will be lost forever! can solve all your problem within a few minutes. Importantly,No need to call a technician, no need to re-install anything, and you certainly don't need to reformat. anyone know of a method to actually find out the existing admin password rather than change it? There is noch install-file chntpw found if i use sudo apt-get install chntpw on my ubuntu 11.04 live - CD. How can i get this?